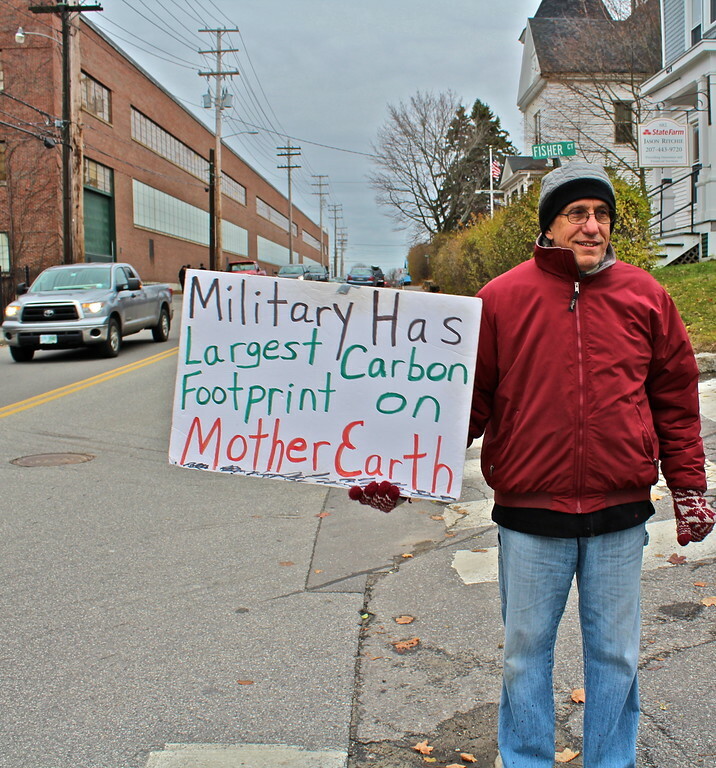 Bruce Gagnon outside General Dynamics' Bath Iron Works shipyard where warships are built. Smilin' Trees Disarmament Farms organizes a series of vigils each Saturday during Lent, 11:30am - 12:30pm in Bath, Maine. Would it surprise you to know that there had been plans for a large militarization and climate change bloc at the demonstrations around the upcoming UN conference COP21? Plans that are now uncertain following terrorist attacks in the long-announced venue of Paris. Because, in response to the attacks, the French government canceled all permits for marches and rallies around the climate conference. Because gunning down concertgoers and sports fans is associated with environmental advocacy, right? That climate change is driven by militarization and, increasingly, is on the radar of the Pentagon and other "defense" organizations of the West is part of the story. A book that will be released during the conference, The Secure & the Dispossessed: How the Military and Corporations are Shaping a Climate-Changed World, will include a chapter on "Greenwashing death: climate change and the arms trade" addressing the Pentagon's world leadership role in burning through fossil fuels. With our politicians refusing to confront the climate crisis, some are looking with hope to the increasingly influential role being played by military planners and corporate titans. If you want to understand why we can't leave it to the Pentagon to shape our response to climate change, then you need to read this book. 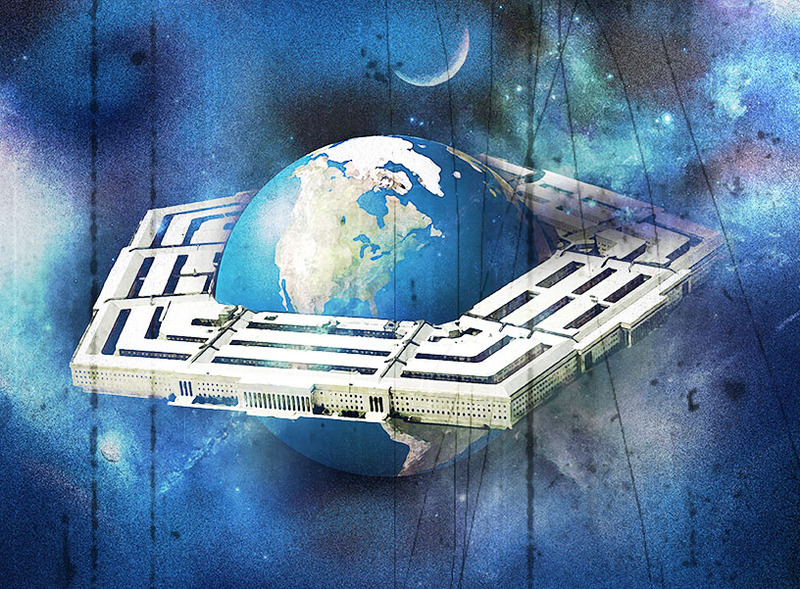 Would it surprise you to know that most in the U.S. are ignorant of the Pentagon's carbon bootprint? Their ignorance is a direct result of another historic climate conference in 1997 which produced the international agreement to reduce carbon emissions known as the Kyoto Protocol. Which the U.S. refused to sign unless the Pentagon was exempted from calculating our national carbon spew. And which the U.S. to this day has failed to sign even though they received the concession they demanded. Perhaps U.S. corporate government thinks that climate chaos is a good thing for those with the most weapons and the most money to insulate themselves from the effects on the rest of us. Here's what I think: Ignoring the Pentagon and the endless wars of the U.S. as major contributors to climate chaos is not going to make them go away. Climate change activists must find the courage to include this in their analysis and messaging. This may mean they will have to break from cozy relationships with the Democratic Party. More than half of U.S. discretionary tax dollars each year go to the Pentagon, the biggest polluter on the planet. For example, General Dynamics doing business as Bath Iron Works is Maine's biggest employer, dependent on federal contracts. Environmental activists will have to start addressing these budget priorities to truly move the needle on climate change. 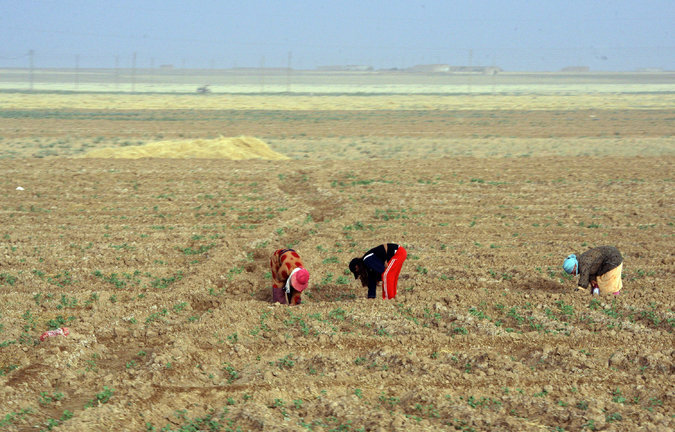 a National Geographic study linked climate change to the conflict in Syria: "A severe drought, worsened by a warming climate, drove Syrian farmers to abandon their crops and flock to cities, helping trigger a civil war that has killed hundreds of thousands of people." And, as we already knew, Syria was on the list of regimes to be changed in the petroleum rich lands that include neighboring Iraq. Has climate chaos helped or hindered the agenda of those seeking to control the flow of oil from that region? Environmental activists have closed their eyes to these realities at their peril. It is encouraging to see more of them speaking up about the problem as COP21 approaches.